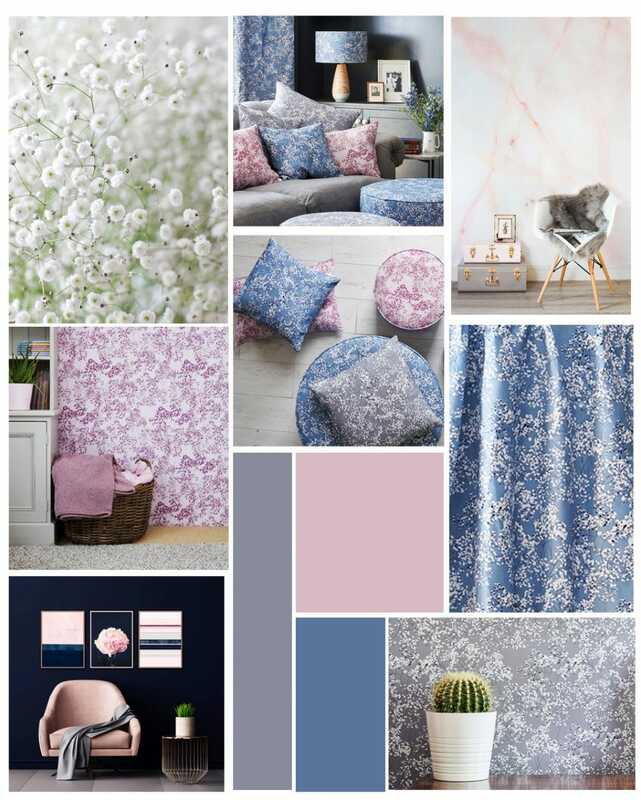 Arla is a beautiful design inspired by gypsophila I used at my wedding in 2014. We collected lots of jam jars (around 300) 12 months before hand, and filled them with these gorgeous white flowers. They lined the aisles and walkways we’d created in the field. Alexa Loy, our amazing wedding photographer took the photographs I used to draw from for Arla. The design is a lovely reminder of the most perfect day for me. Arla was a challenge to create as my designs are usually bold, colourful and quite obvious flowers, birds and insects. This time I wanted to do something different, and Arla was my opportunity to experiment. 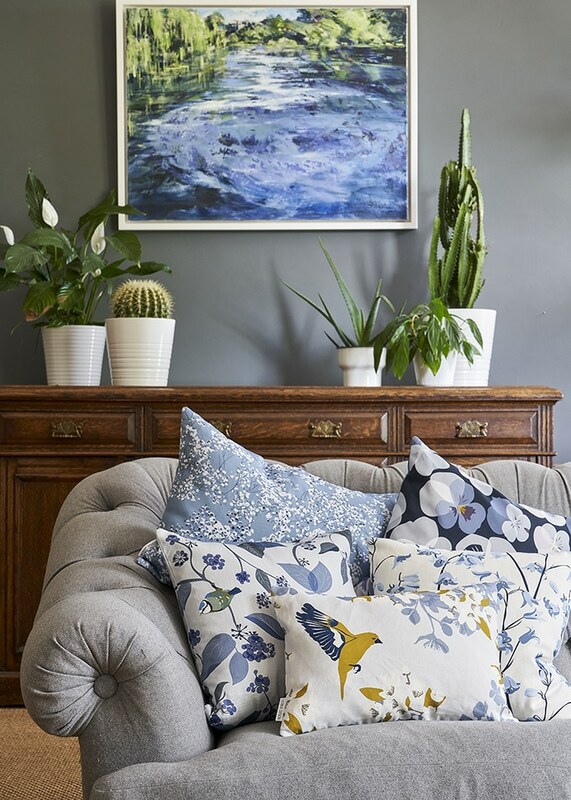 I wanted a design that was more subdued, and complimented the bolder designs, so on a sofa it could be a backdrop to Juneberry and bird or Spring Ivy, Arla was my take on doing something more abstract and less obvious. So if you can’t get enough of Arla, you’re in luck because it comes in three colour ways! 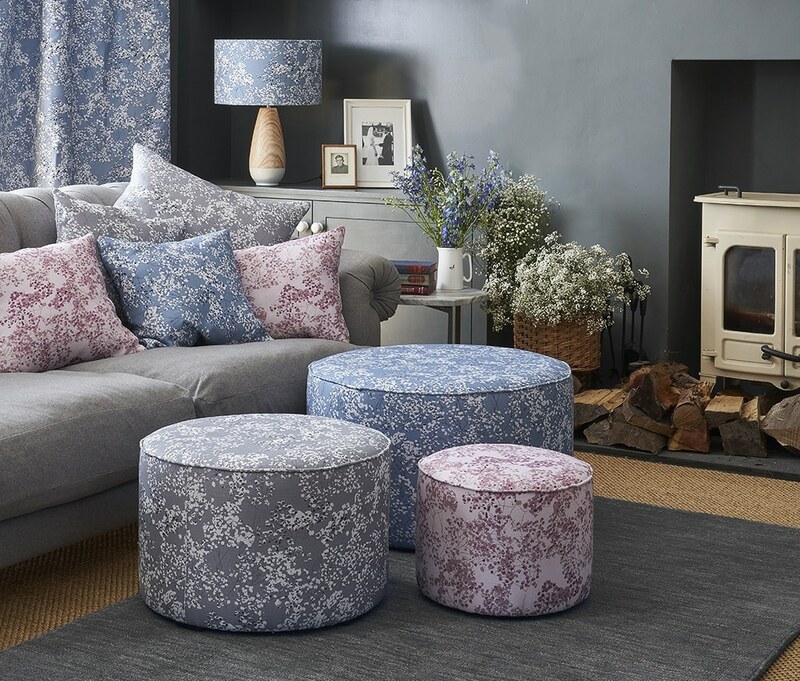 There’s a pale grey, blue and pink that are all delicate shades to lighten up a room and bring a touch of the outdoors in. Another sweet fact about Arla is that it was named after my friend’s gorgeous daughter who’s turning 1 next month! With Arla, you can keep it light and stick to pastel colours in a calming bedroom, or create a dramatic contrast with a dark blue wall or sofa in your living room. Another wonderful thing about Arla is that you can layer the colour ways together. We done this to create interest and depth in a room. But Also works as a stand-alone piece for a more understated approach. Arla blue and Arla grey work with most of our prints really nicely as a more simple design to let the others pop! Arla is a great design to start getting creative with your own interior styling, and we hope you’re feeling inspired to create your beautiful home! Head over to our Pintrest boards to see how we’ve styled Arla!